The Whitsundays Outer Reef is where the true diving delights of the Great Barrier Reef are to be found. It’s a bit of a trek getting there, but well worth the effort. The true diving delights of the Whitsundays are to be found in its outer limits. 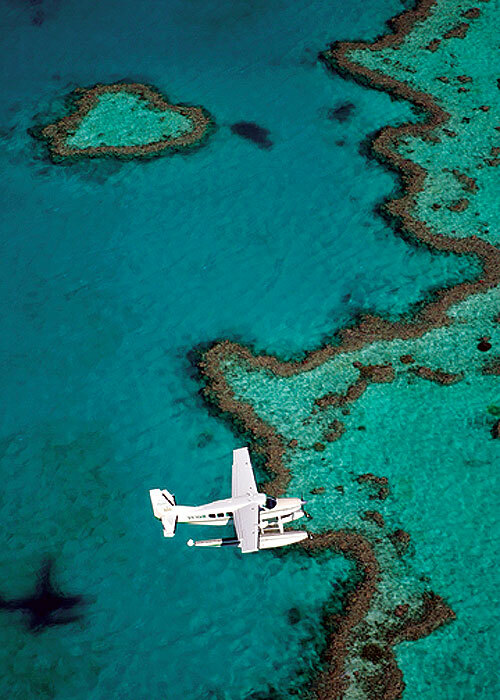 Just 30km northeast of Hook Island and accessible from Airlie Beach, Shute Harbour and Hamilton Island, if you take no other commercial tours during your Whitsundays experience, you must visit the outer reef. In fact, if you want to make this a day to file away as one you’ll remember forever, forgo the boat trip and fly out by helicopter or seaplane. Soaring over the islands and intricate reef patterns is mesmerising, even more so if your visit coincides with Humpback Whale migration season (July to September). Dive-focused day trips tend to visit Bait Reef and the Stepping Stones dive site, a series of 18 or more flat-topped coral pinnacles with channels and caves to explore. Snorkellers can easily view the coral gardens atop the bommies, which are just a few metres below the surface. Staying overnight on the GBR is an extraordinary, almost surreal experience. Most extended dive charters will include at least one night on the reef, which is often the highlight of an overnight dive adventure. With a low reef profile just visible above the water at low tide, all reference points completely disappear at high tide, creating an eerie feeling for those unaccustomed to being far from land. Out here, magic happens on a still, clear night, when the inky black sea twinkles with the reflection of stars. Free public moorings are available at Bait Reef, while overnight anchorage is usually taken at nearby Hook or Line Reef. Fantasea Cruises (www.fantasea.com.au) offer a Reefsleep option for up to eight overnighters on their enormous self-contained pontoon, permanently moored at Hardy Reef, home of the famous Heart Reef. There’s also an underwater observatory and explorer here for those who want to experience the reef with their clothes on. 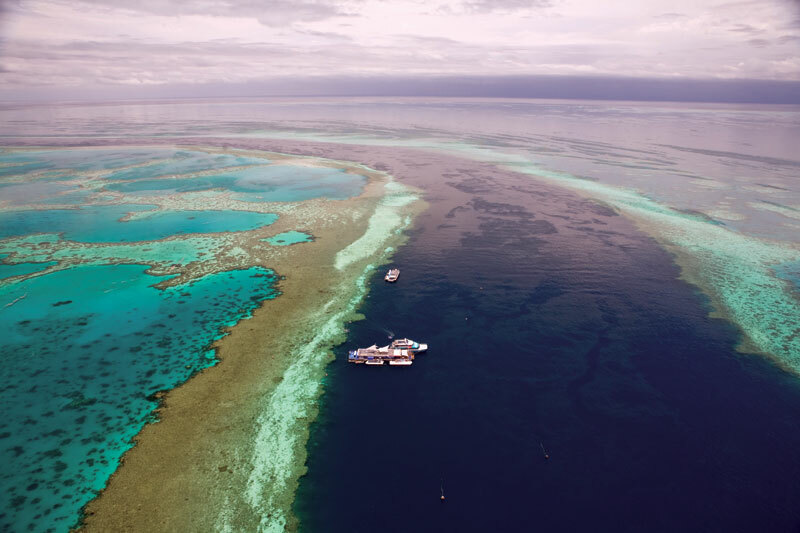 Getting There: Many charter operators visit the outer reef, either on day trips or extended cruises. Seaplanes and helicopters depart from Hamilton Island or Whitsunday Airport.